The inventor of the World Wide Web, Sir Tim Berners-Lee, spoke at a conference in London yesterday where he warned Governments that there is “no off-switch” for the Internet. His comments came on the same day as Jimmy Wales, the founder of Wikipedia, was giving evidence to a British Select Committee on Government plans to allow increased “snooping” of our use of the Internet. Needless to say really, but he is vehemently opposed to such plans – so much so that Wikipedia will create a system to get round the proposals. Several Governments around the world actually detest the Internet. The “problem” as they see it is lack of control; once you allow people to gain access to more information they could pretty soon discover their politicians are liars or self-centred individuals whose authoritarian rule is harmful. Not surprising then that the World Wide Web Foundation yesterday put Zimbabwe near the bottom of the list of countries in terms of the way the Internet is used by a nation. Even though the UK and the USA fare well in this analysis, recent legislative attempts show that the politicians are scared. They are so worried about the impact of the Internet on their ability to control us that they are coming up with nonsensical proposals – such as the UK’s current idea that all kinds of Government and Local Government staff need access to every single online activity of each individual in the UK. Apparently it is to protect us from terrorism – except one thing, terrorists are very good at covering their online tracks and no amount of such snooping is likely to uncover them. Besides, they only need to use high-level encryption once the legislation is in place and no-one could locate them. The only thing that would become possible would be that some local authority staff member could find out what websites you visited. Meanwhile, over in the USA the Stop Online Piracy Act was touted as a system to prevent copyright theft, but in reality it was about controlling what websites Americans could view. Ultimately, the bill collapsed but not before massive widespread opposition pointing out that it was impractical to achieve the aims of the proposals. Whether you consider politicians in the USA or the UK or authoritarian regimes trying to ban or control access to the Internet you can only come to one conclusion: politicians simply do not understand the Internet or how it works. 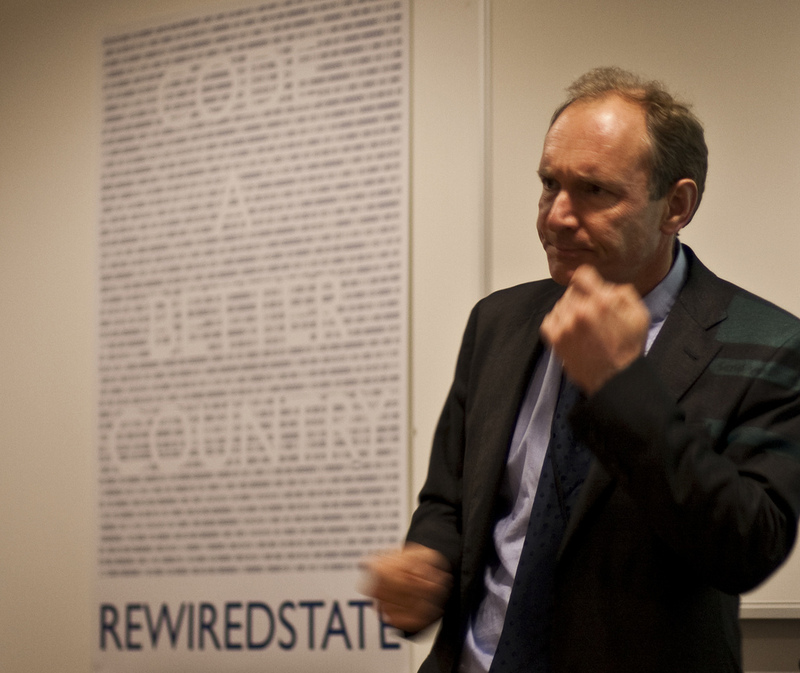 Yesterday, Sir Tim Berners-Lee was trying to educate them, pointing out that the only way to control the Internet and our use of it was for every nation to come to an agreement about access. And considering they can’t even come to an agreement about how to deal with atrocities like Syria, then the chances of the world’s nations getting to some kind of global control of the web is fanciful. In other words, even if nations attempt to control or block the Internet, users can circumvent them. Indeed, hundreds of millions of Internet users in China get round the “great firewall” which is supposed to stop Western ideas infiltrating the nation. Essentially the “control cat is out of the bag” thanks to the way the Internet works. No longer can Governments control their people – witness the Arab Spring, for instance. It may take longer to achieve, but the Internet will be be part of the reason why we see things like a Chinese Spring before too long. And if the Internet cannot be switched off, if it means that Governments cannot control their people any more, it means that businesses are in the same position. No longer will business leaders be able to control what their staff do or say about their company. No longer will business owners be able to control what people know about their firm. No longer will businesses be able to control their customers. If you think you are in control of your business, think again – the Internet is; and what’s more you cannot turn off that control.